Happy COUSCOUS Day :) | Your Couscous Specialist, Worldwide ! 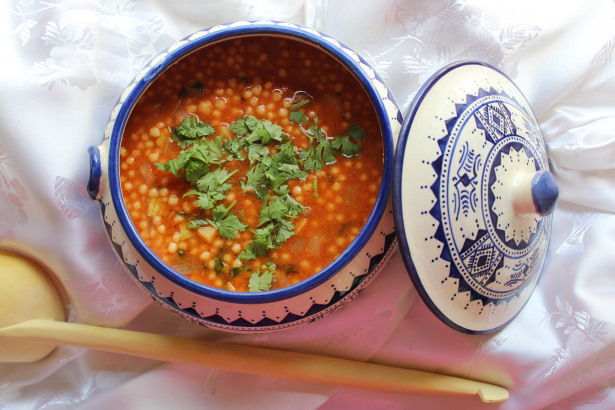 Your own place to discover the glory story the of the most popular dish from North Africa, which is appreciated worldwide. Nowadays, people everywhere consider Couscous as ambassador of North African cuisine and the epitome of the delicacy of Mediterranean culinary art. With its rich tradition, couscous remains one of the most attractive and mysterious dishes in the world. If the thought of couscous does not excite you, we’d like to think it is because you have not yet had an opportunity to try ours. Our couscous is moist and deeply flavorful. Our traditional couscous grains with texture and personality, and allows us to offer ten different sizes from tiny and fluffy to chewy and marble-sized. Versatile and incredibly fast to cook, couscous can be incorporated into appetizers, salads, soups and even main courses. Experiment with different vegetables, meat, poultry and fish pairings for interesting meal combinations. 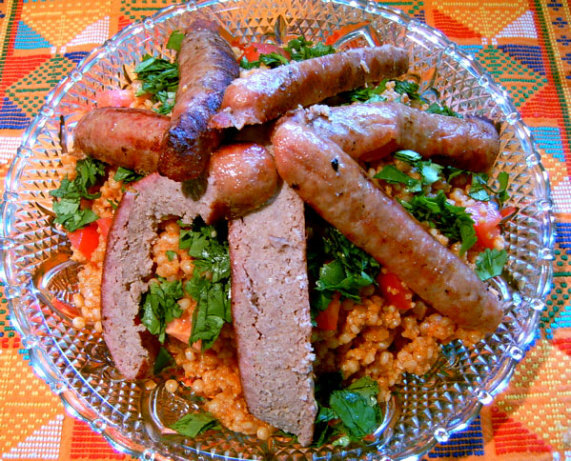 Use your imagination, since couscous works in both sweet and savory recipes. Feel free to make a chocolate cream couscous cake, or a creamy couscous pudding-healthy desserts for the whole family. When steamed or boiled like rice, couscous is just like pasta, so make sure you buy the whole grain variety. Since it’s mostly carbohydrate, with zero percent fat, don’t spoil a good thing by adding butter to it as most recipes recommend. 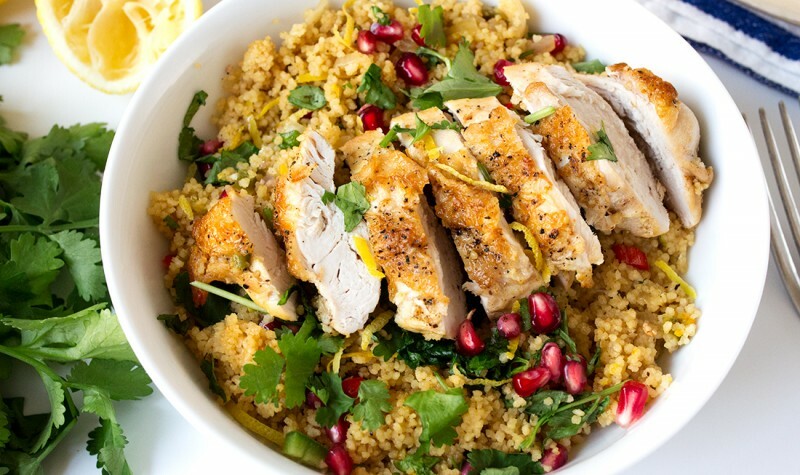 Instead just drizzle some heart-healthy olive oil on cooked couscous for a richer flavor. Be smart when you’re cooking this Berber specialty. Use the proper ratio of water to couscous, which is 1 cup of water for every 2/3 cup of couscous. For perfect couscous, add salted boiled water to the grains, cover and let it sit for 5 minutes, and then fluff with a fork before serving. This deliciously vibrant meal will impress your taste buds and those of everyone at your dinner table. 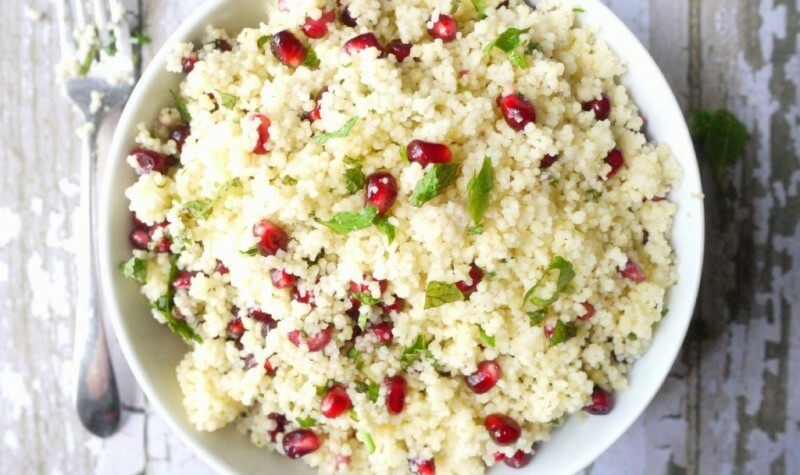 This couscous salad is super easy to throw together. Like, you could almost make this during a commercial break. I said, almost! Maybe that’s why I love these salads so much? 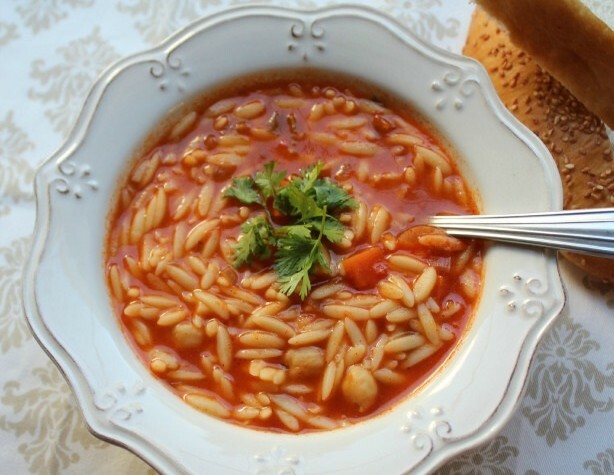 The soup is very healthy and rich in flavors and delicious when accompanied with a homemade bread. Berkoukes also called El Aish in East of Algeria or Mhamessa, is similar as couscous seeds (except the Berkoukes seeds are bigger like bullets) and it’s made from semolina flour, (coarsely-ground durum wheat). No need to steam as couscous but cooked like pasta. 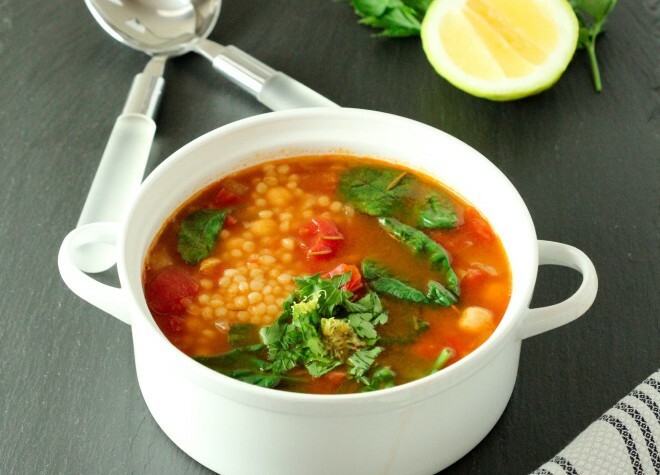 This recipe is very simple but incredibly tasty, made with tomatoes, pearl couscous, chickpeas, spinach, and spices. 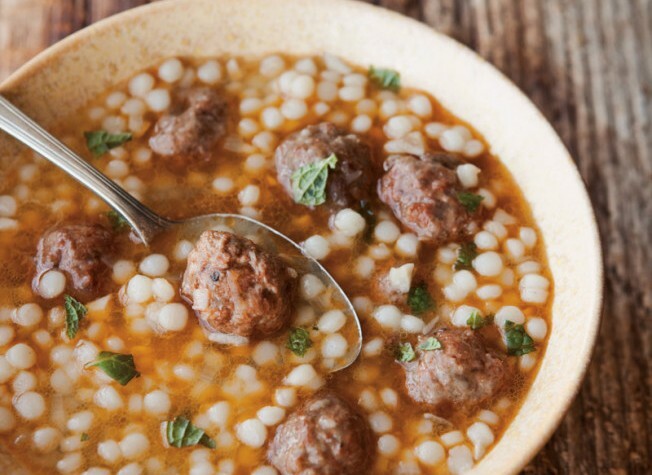 Israeli couscous has bigger pearls than Moroccan couscous, and it still cooks very quickly, adding heartiness and texture to this soup. The meatballs also make a delicious dinner on their own, served over a bed of couscous. 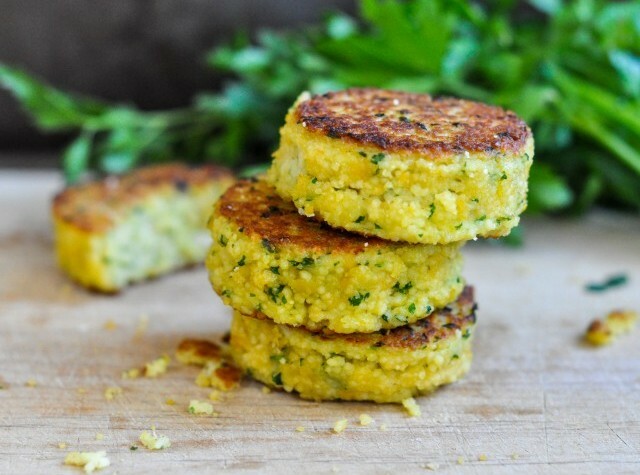 These patties are so easy to make and require a few simple pantry ingredients, AWESOME! I even made the patties earlier in the day and then sautéed them up right before dinner, the perfect make-ahead recipe. 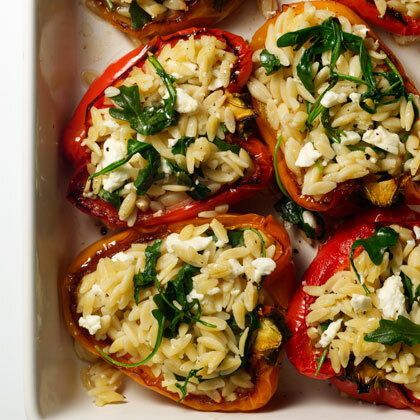 Baby argula and feta cheese combine with orzo for this simple recipe for Orzo-Stuffed Peppers. 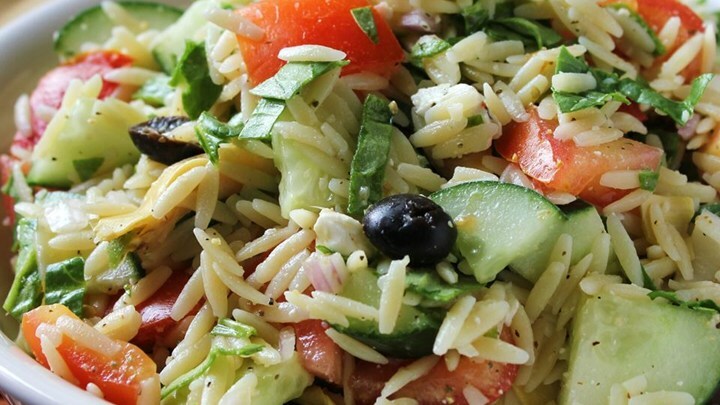 You can prepare this meatless main dish up to 12 hours before serving. Just cover baking dish with foil, refrigerate, and reheat at 400 degrees.